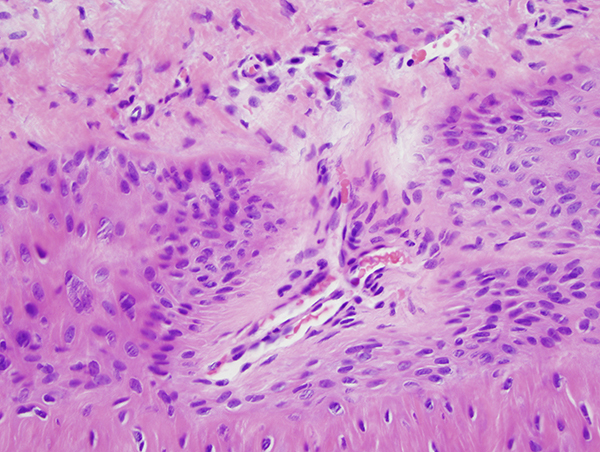 The patient is a 59 year-old male who presents with a nail first finger nail lesion, whereby the differential diagnosis is one onychopapilloma versus squamous cell carcinoma. 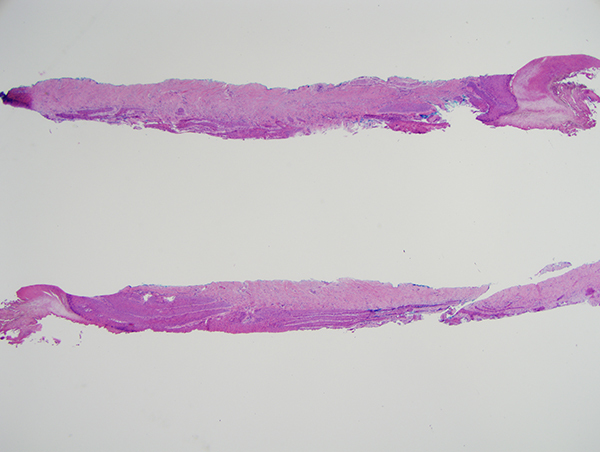 The biopsy shows linear longitudinal whitish band with a longitudinal splinter hemorrhage as one might encounter with an onychopapilloma. 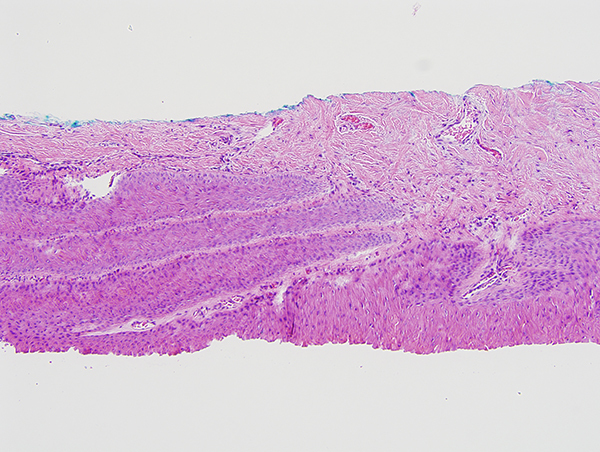 The biopsy shows a pattern of epithelial growth that exactly recapitulates the nail matrix and as well there appears to be cytopathic changes of human papilloma virus. Therefore, at least a component of this biopsy is in the context of representing a wart and/or at least there is a cytopathic change that would be attributable to human papilloma virus. 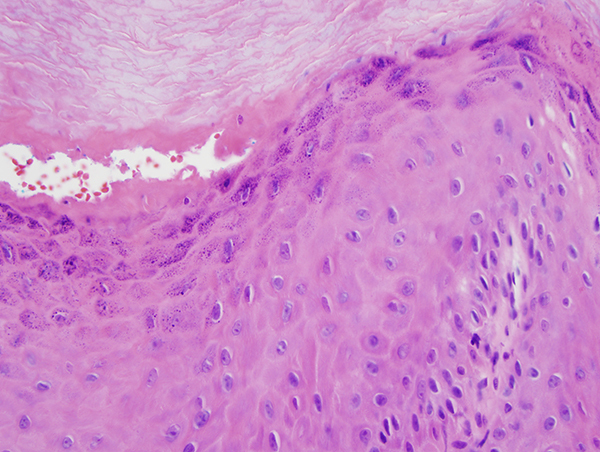 If this matrical epithelium in fact is from the nail bed, then that would imply matrical metaplasia, which is the diagnostic hallmark of onychopapilloma. Once again, if it is the nail bed, then the diagnosis would be onychopapilloma with supervening koilocytic atypia consistent with human papilloma virus effect.